Installing double glazing is one of the most common home improvements UK homeowners make, proving more popular than building an extension. Planning any renovation work on your Lincolnshire home this year? Well let us explain why Cliffside Windows are one of the top trusted window installers in Lincoln! The quality and ongoing performance of your windows is extremely important to us. This is why Cliffside are members of long established industry schemes FENSA and PLANITHERM; assuring our competency in the glazing field coupled with high-performance glass. A large proportion of our business comes from local recommendations, therefore our quality and craftsmanship truly speaks for itself! Did you know that Sir Isaac Newton was born in a manor house at Woolsthorpe, near Grantham? This is where the famous apple tree that inspired his theories on gravity can still be seen on the National Trust property. Just as Sir Isaac Newton was the culminating figure of the 17th century scientific revolution, Cliffside Windows have been leading the Lincoln renovation revolution for the last 50 years! 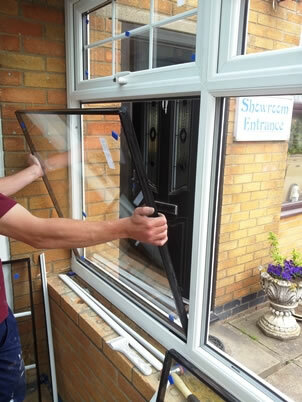 As Lincolnshire’s longest trading manufacturers and installers of double glazed uPVC products, we are proud of our reputation as one of the top trusted window installers in Lincoln. Embracing the digital age, Cliffside Windows also appear on the first page of Google for the search term ‘window installers Lincoln.’ From smaller residential projects right through to commercial installations, we have the regional expertise and expert knowledge to transform any sort of Lincolnshire building. Windows are never “one size fits all” and are just as individual as you are, with a range of colours and styles to choose from. Attentive and loyal, the Cliffside team will work with you every step of the way to satisfy your requirements effectively. We completely understand that your home is your castle, so we ensure that our installers check every installation and tidy up after themselves too; leaving you in peace to enjoy your new double glazing. As you can see, Cliffside Windows are the ideal choice for your Lincolnshire home improvement plans. Ideally positioned to improve homes in Lincoln, Grantham, Sleaford and Boston, if you’re in the area please visit the Cliffside showroom for more inspiration or get in touch with us today. We guarantee you’ll only be impressed with the final result!